French Canadian design duo Salomé Strappazzon and Mikaël Mourgue introduced a whimsical line of eco-friendly children’s furniture the Salon International du Design Intérieur de Montréal this past May. By naming their collection “ToyToy” it aptly describes how they see the interaction kids will have with their products, and also conveys the simplicity of the lifestyle they strive for. Strappazon and Mourgue have a strong commitment to creating affordable, quality products that are manufactured locally. In addition to meeting all of these promises, their introductory ToyToy chaise is graphically fun and the simple assembly can practically be done by their twin toddlers, Lizzie & Titia. Nice chairs. I'm shure kids will love them! 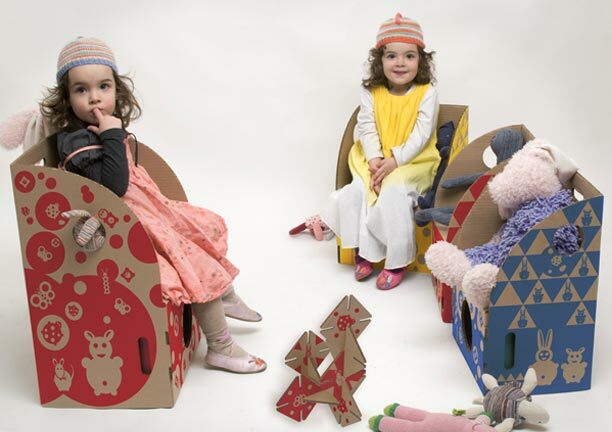 French Canadian design duo Salom� Strappazzon and Mika�l Mourgue introduced a whimsical line of eco-friendly children�s furniture the Salon International du Design Int�rieur de Montr�al this past May. 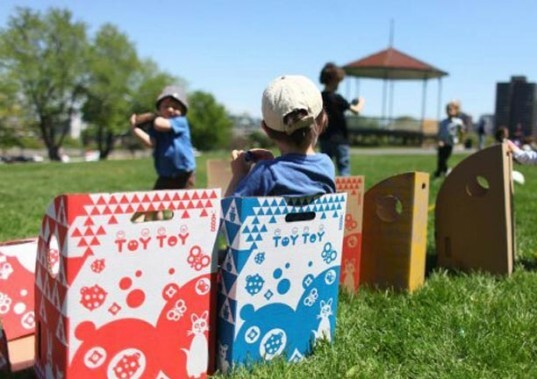 By naming their collection �ToyToy� it aptly describes how they see the interaction kids will have with their products, and also conveys the simplicity of the lifestyle they strive for. Strappazon and Mourgue have a strong commitment to creating affordable, quality products that are manufactured locally. In addition to meeting all of these promises, their introductory ToyToy chaise is graphically fun and the simple assembly can practically be done by their twin toddlers, Lizzie & Titia.